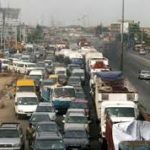 Business men, traders and members of Agbo-Edo Motor Spare Parts Association(AMSPADA) on Saturday closed their shops to protest the arrest of innocent members of the association after the bloody clash between Indigenous People of Biafra(IPOB) and security agencies. 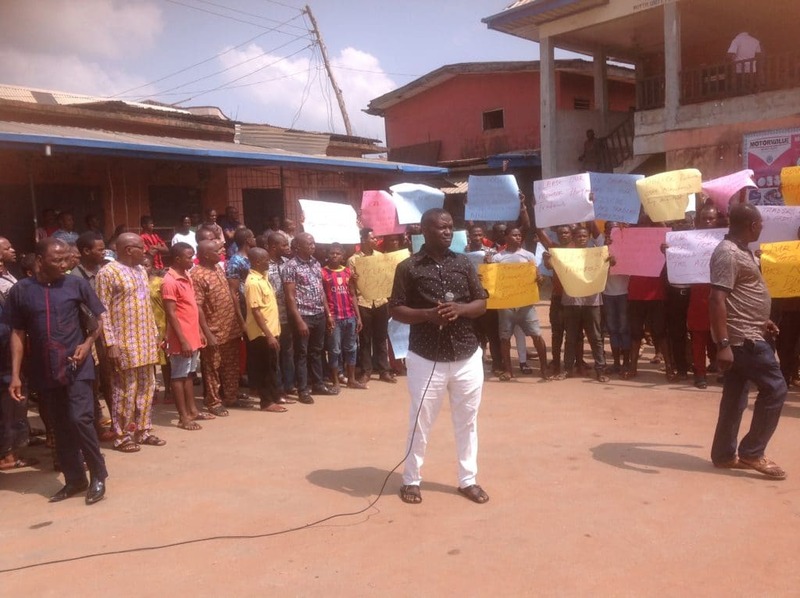 The placard carrying traders who carried out a peaceful protest in the section of Nnewi main market said they would not open their shops for business until their arrested members are released. Some of the placards read “Please release Agboedo traders, our gates were forced open before the law enforcement agents attacked us, our members are innocent, Chief Willie Obiano help effect the release of traders who are just doing their legitimate business’’. The traders threatened that they would not open their shops until their members who were unjustly arrested and detained by police authorities are released. The chairman of AMSPADA, Gab Chibueze who spoke with journalists after the peaceful demonstration said over twenty member of his association were arrested after the bloody clash between police and IPOB. He noted that he specifically directed that all gates leading to the section of the market be locked during the clash to avoid a situation where people with criminal tendencies would mingle with his members. Chibueze said it was shocking and unfortunate that law enforcement agents later stormed the secured section of the market, forced the locked gates open and started arresting innocent traders who have nothing to do with the IPOB demonstrators. The traders boss in company of his executive council called on the Anambra state governor, Chief Willie Obiano, members of National Assembly and the state lawmakers to rise to the occasion of securing the release of their members who according to him are not in anyway sympathetic to the IPOB cause. Chibueze who reinstated the innocence of his members said AMSPADA is ready to collaborate with security operatives in their investigations into the unfortunate incident even as he urged his restive members to calm down while peaceful means are being employed to get the traders released from custody. “We don’t want any harm to befall our members who have been contributing their own quota to the growth and development of Nigeria and interestingly the clash between IPOB and police happened far away from us, it was a shock to us that the security operatives descended on us and started making spurious arrest.” He concluded. Two policemen and four members of IPOB allegedly died during the bloody clash in Nnewi, Anambra state. Pix : Chairman AMSPADA, Gab Chibueze addressing his members.